After the terror attacks of Sept. 11, 2001, proper personal identification has been a necessity. 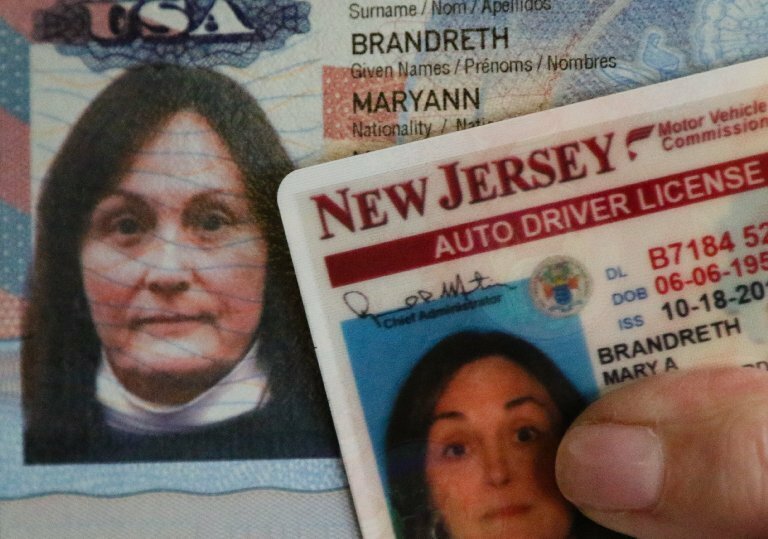 To help ensure New Jerseyans had accurate and valid driver’s licenses, the Motor Vehicle Commission (MVC) instituted its 6-point verification system. To get your license, you’d need to show a combination of documents, and each document is assigned a number of points. If your documents added up to six points, you’d get your license. There’s no rule that says any specific document is required, as long as you use ones on the MVC list and the points add up. But some misinformation and a lack of common sense made the point system a headache for a Long Valley woman. Her name is Maryann Brandreth. Or Mary Ann Brandreth, or Mary A. Brandreth, depending on what document you examine. She was born Mary Ann Lisa, and that’s how her name appears on her New York State birth certificate. “Ever since I was five and started writing, my name has been spelled Maryann,” Brandreth said. A $23 million project to replace an aging computer system should help beleaguered drivers who’ve endured computer crashes and waits at state motor vehicle agencies. Brandreth says she’s been Maryann for most of her life. In 1967, she graduated eighth grade as Maryann. Same for her high school graduation in 1971. Her first driver’s license in New York State was issued as Maryann. And that’s the name by which all her bank accounts and college courses knew her. In 1991, she relocated to Morris County. Her first Jersey license had her name as Maryann. When she married in 1992, she changed her last name. When she got a new license, her first name was still Maryann. By 2008, there was a change. When she renewed her license, it was changed to Mary A. In 2012, she tried to have the name changed by using her passport — which says Maryann — as her main identification. “They made me go home to get my birth certificate and would not make the change stating they had to use the name on my birth certificate,” Brandreth said. She wasn’t happy but she did as she was told. The difference in name started to become a problem. When she had foot surgery in 2013, she was admitted to the hospital as Mary A. Brandreth because the hospital had to use her license for identification rather than just use her insurance card, which has her name as Maryann. Later that year, she was appointed power of attorney (POA) for her mother, but the bank had to use Brandreth’s license for identification, so the POA was for Mary A. Brandreth. Then travel became an issue. Brandreth can’t use her license as identification because it wouldn’t match her passport or ticketed name. So when she went to renew her license in October, she wanted to make the change. She brought with her all her documents. All said she was Maryann, except for her birth certificate, which says Mary Ann. That didn’t make sense given that a passport counts for four points in MVC’s six-point program. A Social Security card is one point. She said the supervisor said she couldn’t accept a “mishmash of documents” with different names, so Brandreth suggested she take six points of documents that use the name Maryann. The birth certificate was necessary for the license renewal, Brandreth said she was told. But that’s not actually an MVC rule. In the end, for the renewal, Brandreth said, they accepted a “mishmash” anyway: her current license said Mary A. and the rest of the documents said Maryann. And she went home with a license that said Mary A.
Brandreth wasn’t happy, but she looked into changing her New York State birth certificate to make the problem finally go away. In a conversation with the state’s vital records department, she learned she’d have to present baptismal certificate or school record from when she was younger than 12, Brandreth said. The rep at vital records said if Brandreth can’t find the school records, her only choice would be to legally change her name — for $250. Looking for a solution, Brandreth contacted Bamboozled. While a state senate committee will hold a hearing later this month about long lines and waits at the MVC, here are six issues plaguing the agency. We reviewed her story and shared it with MVC. In short time Brandreth spoke to someone who could help. The MVC rep told Brandreth to scan and send in all her documentation with both names so MVC could review the case. In a couple of days, the rep called her back. “She asked when and which agency I would like to go to get my license corrected,” Brandreth said. The rep explained she ran the case by the deputy director of administration, who was fine with the change and offered to waive the $11 fee, Brandreth said. “She remarked that this should never have happened and speculated that when they implemented new rules back in 2004, a clerk may have unknowingly thought she had to go by the birth certificate and that is how this whole mess started,” Brandreth said. MVC contacted the manager at Brandreth’s MVC agency of choice, and when she arrived, the manager made sure she received the correct name on her license. Fare thee well, Mary A.